The majority of the babies born every day are of normal weight and normal length. The “normal” full term fetus will often weigh approximately 7 pounds at birth. Babies can be born larger than this and smaller than this and the fluctuation in birth weight can be astounding. Fetuses are supposed to grow along certain growth curves. When they are smaller than expected for a weeks' gestation they are called SGA, "small for gestational age," and when they are larger, they are called LGA "large for gestational age." The weight of a baby will depend heavily on many factors. Lifestyle choices by mom, environment, eating habits and the genetic makeup of the parents will all attribute to the size of the newborn. Moms who choose to smoke or drink during pregnancy may have babies that are smaller than normal. Other factors including infections, chromosomal defects, and high blood pressure during pregnancy can all attribute to a baby with IUGR. IUGR stands for intrauterine growth restriction and is the termed used for babies that weight less than the 10th Percentile for the weeks of gestation. Medical issues associated with IUGR babies include if the mother has high blood pressure, the placenta doesn't function well or if the baby has certain problems. Smaller than normal babies can be born with no health problems as baby size is not always associated with health issues or conditions. In some cases, however, a smaller baby will have trouble maintaining body temperature after birth and may need to be kept in the warmer for an extended period of time in baby recovery. Why is My Baby So Large? Along the same lines as the smaller baby, there are many factors that will attribute to the larger than normal baby. 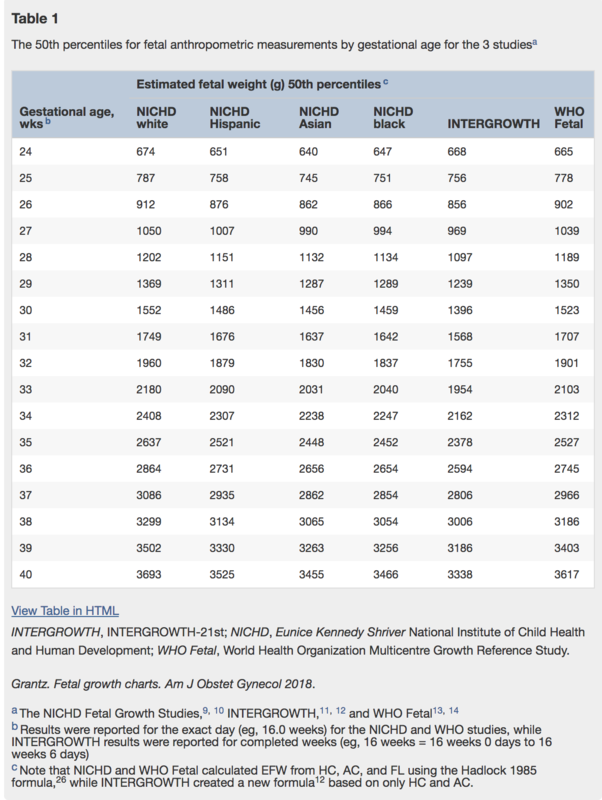 The height of mom and dad, the weight of mom, the eating habits of mom and the presence of gestational diabetes can all attribute to a larger than normal size baby. Larger than normal babies are associated with diabetes, though they often happen without any specific reasons. They pose a greater risk to mom than smaller babies due to the chance of baby getting stuck in the birthing canal during labor. 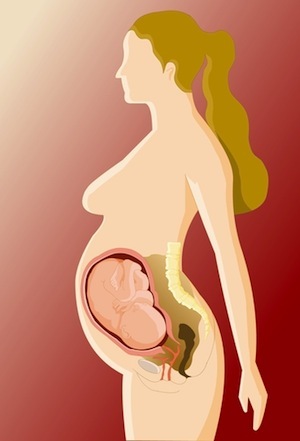 In some cases, if pre-labor ultrasounds record the baby weight as being larger than normal (usually well above the 90th %tile at term) , the obstetrician will suggest a C-section in order to reduce the risks of vaginal labor. When moms are pregnant with more than one baby, the chances of birthing a baby of lower birth weight is higher. Multiple pregnancies often end earlier than singleton pregnancies which will increase the chance of lower birth weight even more. On the other hand, when there are two babies in the womb, there are often room restrictions that do not allow for the babies to grow to normal size before birth. Mothers of multiples will often be told to rest for the last few weeks of the pregnancy. This rest will help keep the babies in womb longer and help to prevent preterm labor leading to the birth of lower than normal birth weight babies. Not all babies will be born of normal size. There are babies born every day that weight less than 5 pounds and are completely healthy. On the opposite end of the spectrum, there are babies born every day that weigh in excess of 11 pounds and are born via vaginal birth with no trouble. The birth weight of a baby is often an indicator of a babies health, but not in every case.